Car Rental Rochefort | Avail Economical Car Hire Deals in Rochefort - Book Now! The picturesque beauty of Rochefort attracts huge number of tourists every year. Rent a car in Rochefort with us and drive through its primeval roads which give a taste of the city's appeal. 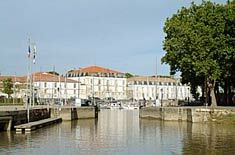 With us, you have an easy access to large number of attractions in and around Rochefort. We offer varied range of cars to match your driving needs and vacation budget. Round the clock customer support, CDW, unlimited mileage and roadside assistance are other benefits offered by our Rochefort car rental service. Rochefort is an old, but a pretty town of Belgium. The history of Rochefort dates back to the Roman times and is one of the most loved destinations for visitors from other cities of Belgium and across the world. The natural attractions of the town are attributed to its geographical location. Being one of the most preferred summer resorts in Belgium, it is a good idea to book your Rochefort car rental service well in advance. With lovely landscapes all around Rochefort, the place is the best location to explore the Ardennes. The nature has bestowed the region with contours and hills that offer fantastic beauty to the place. One of the biggest attractions in Rochefort is the caves called 'Grotte de Lorette'. These caves are special as they were actually carved out by the waters of the Lomme in the past. Then, there is the fantastic Loreto Chapel that was built way back in 1620. This beautiful chapel stands just above the caves. About 18Km from the town is the very famous Chateau de Janne. The construction dates back to 12th century, but was renovated in the 17th century. There are few other old buildings of the past centuries dotted all around the place. You cannot miss visiting the Val�ry Cousin provincial estate, which is actually a huge area of forest and lakes around a castle built in 19th century. With fantastic avenues of open air swimming, water slides and golfing, the place is perfect for a fun-filled family day out. With a Rochefort car rental service, it is absolutely easy to access the attractions within and near the town. Hire a car in Rochefort now!